This past Saturday on March 27th, it was a typical boxing weekend. 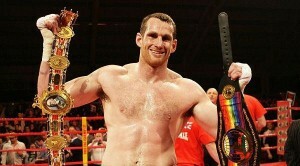 There were a ton a good fights on the telecast including Kash Ali vs David Price. The proceedings started off normally. Both men were boxing and landing their fair share of shots. Ali made it an ugly affair as he tried to rough up Price a bit. He was even docked a point early in the rounds for hitting his opponent on the back of the head. Punches to the back of the head or better known as rabbit punches and are frowned upon in the sport of boxing. Serious injuries have occurred from these sorts of punches. There is a fine line that boxers try not to cross and that would be one of them. Be that as it may that type of stuff happens. Whether it be intentional or not they just do. What happened shortly after that however went from dirty boxing to just plain bizarre. In the fifth round both fighters fell to the ground. It was at that point where Ali apparently bit Price while he was on the ground. The referee immediately called off the contest and named Price the winner. That isn’t the end of this story. It was later found out that Ali bit Price up to four times during the duration of the match. Unfortunately the sport of boxing has an unforgettable history in-terms of biting. Former Heavyweight champion Mike Tyson infamously bit Evander Holyfield during their 1997 rematch not once but twice. In 1999 Middleweight Adrian Dodson bit Alain Bonnamie and was given an 18 months ban. Price some how was able to keep a level head and not react in a way that would have gotten him disqualified as well. Ali will undoubtedly face a stiff punishment as the British Boxing Board of Control has already withheld his purse and is looking into the matter to determine just how severe his punishment will be. Make no mistake about it, the penalty will be a harsh one. As for Price this is his second straight win. What he will do next is a bit of a toss up as he has a number of opponents to choose from. One thing we do know is that he does not want to get back into the ring with Ali ever again. Gilberto Ramirez: After Hart I Want To Unify With Canelo!